Westporters know her as Emma Ruchefsky. The world may soon know her as Emma Charles. 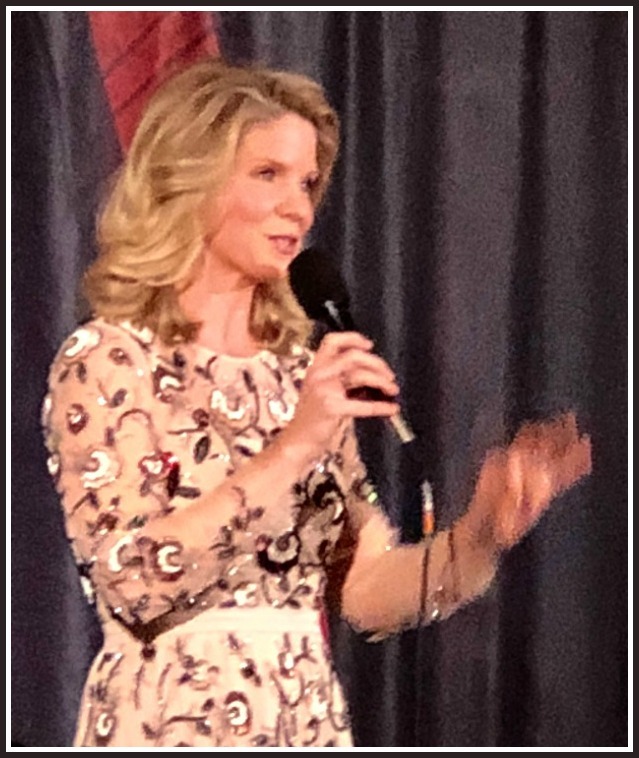 The daughter of Steve Ruchefsky and Rondi Charleston — hence the stage name — thrilled audiences at Staples High School with Players productions of “Avenue Q,” “Hello, Dolly!’ and “Sweeney Todd,” and as an Orphenians singer. 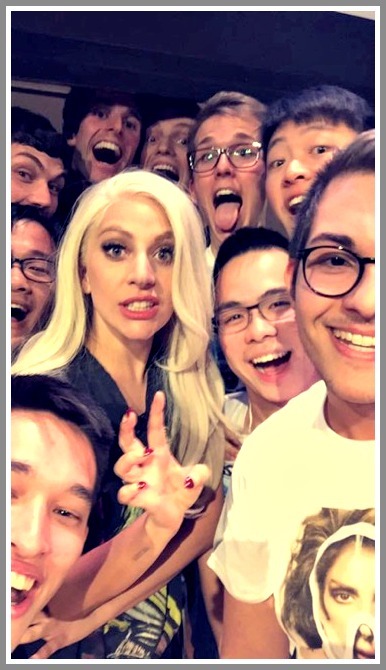 She’s also performed at the Levitt Pavilion and Fine Arts Festival. Now — having finished her performance and songwriting studies early at Boston’s prestigious Berklee College of Music — her professional career is taking off. She’s in the midst of a 12-city tour, opening for Tyler Hilton and Howie Day. This Saturday (March 15, 7:45 p.m.) Emma returns to the area. A show with Howie is set for the Fairfield Theater Company. Emma’s base is Los Angeles. She’s working there on original music — heard only by a few people so far. She’s excited to play it for her hometown fans. In LA, she says, she’s coming into her own sound. 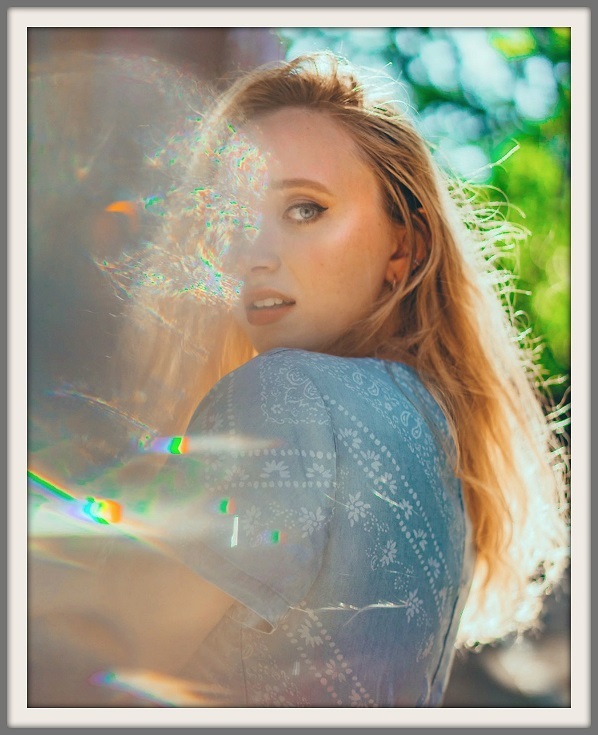 It’s similar to Kacey Musgraves and Maggie Rogers — but definitely her own. When she takes the FTC stage, Emma will not be far from her Westport heart — geographically, and emotionally. She is grateful for the opportunities Staples provided, through Luke Rosenberg’s choral program and David Roth’s Players. Emma Ruchefsky may have changed her name. 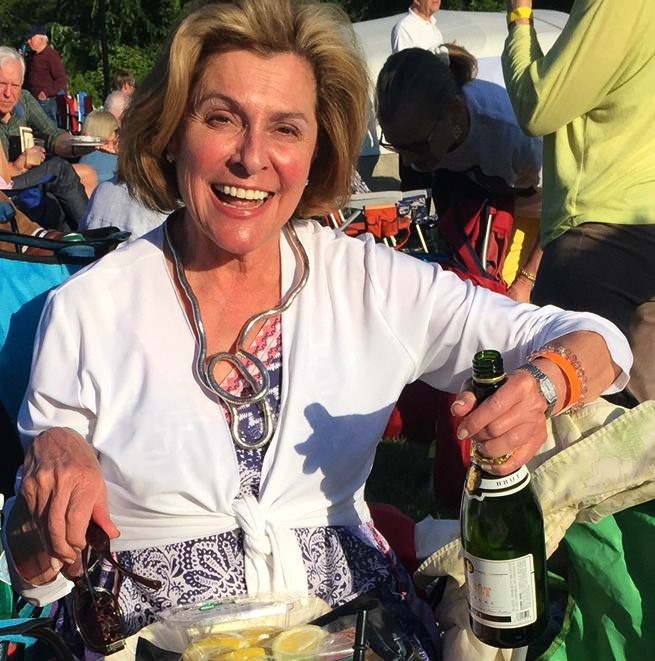 But Emma Charles is still the same warm, wonderful — and very talented — performer they (and the rest of Westport) knew and loved. After 1296 straight days of rain and cold, the sun finally came out today. This evening, so did the crowds. 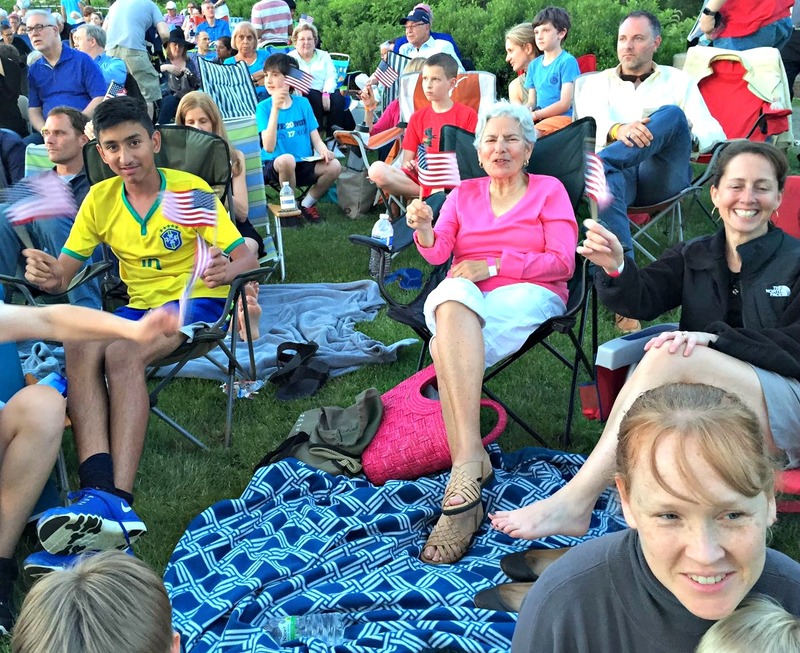 Over 1,500 people — proud parents, folks whose kids graduated from school back in the 20th century, little kids who were born in the 2010s — packed the Levitt Pavilion for the 2nd annual Westport Pops concert. A bottle of wine, some Pops, and wow! 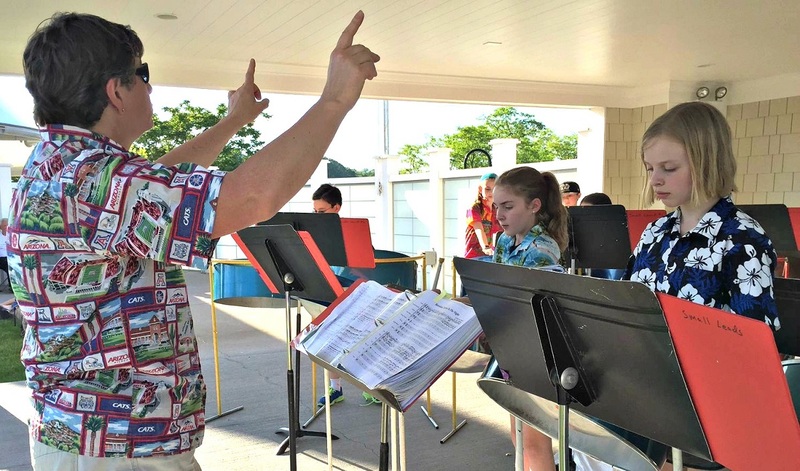 The Bedford Middle School jazz ensemble, and Long Lots’ steel drum band — is there another elementary school with one this side of the islands? — warmed up the crowd. Orphenians sang the same stirring arrangement of “The Star-Spangled Banner” that they wowed crowds with at Yankee Stadium. The Long Lots Elementary School steel band. Then Staples’ 3 orchestras, Orphenians (again) and jazz band took over. 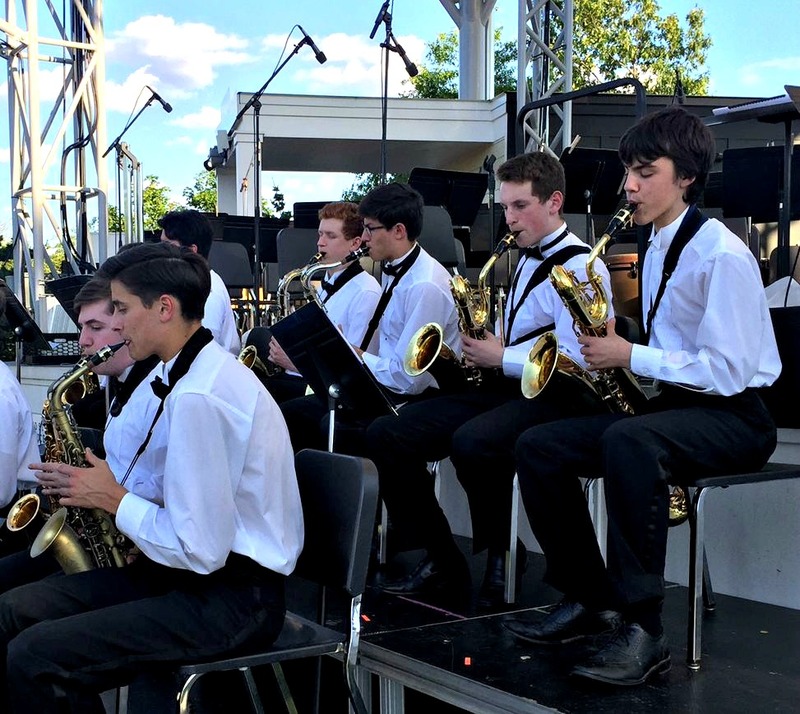 Staples High School’s brassy sax ensemble. The program rolled from “West Side Story” and “Pirates of the Caribbean” to Dolly Parton and freedom songs. Madison Malin and Riley Thrush nailed solos. A night like this was worth all 12,960 days of rain and cold. 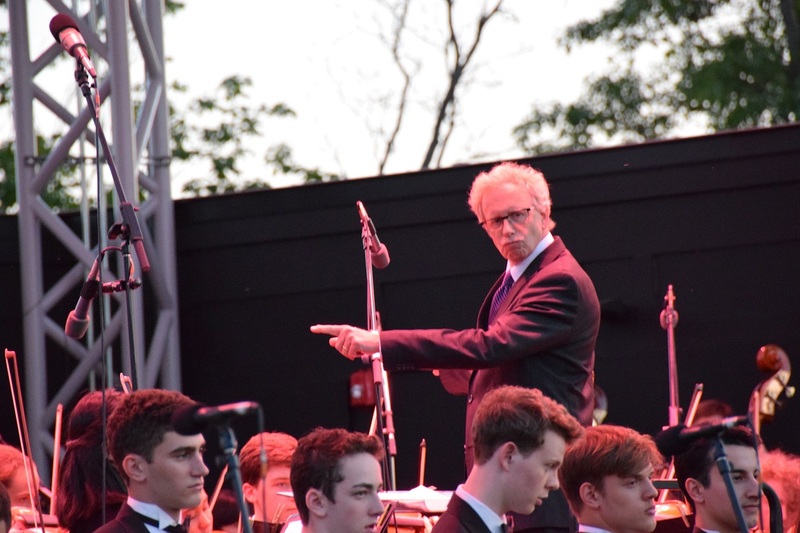 Broadway actor, noted entertainer and Weston resident Jim Naughton emceed the pops concert with wit and grace. 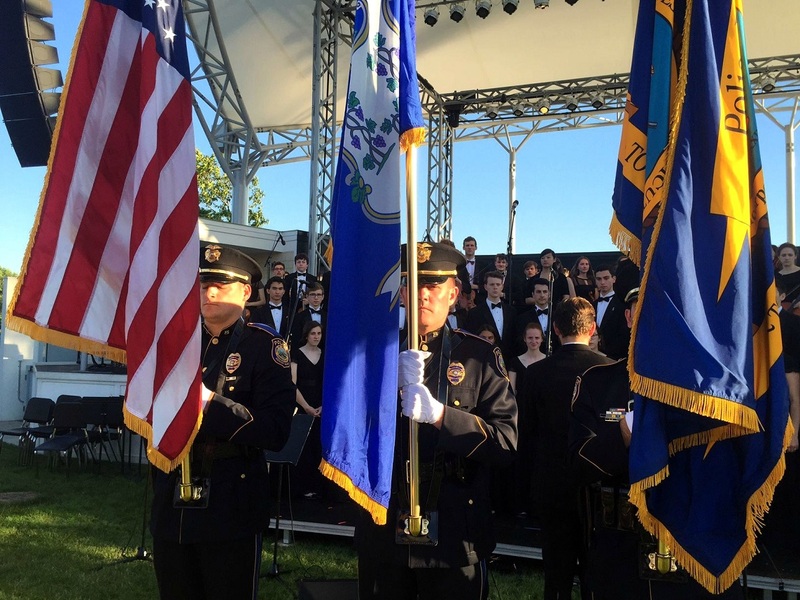 The Westport Police Department Color Guard opened and closed the show. 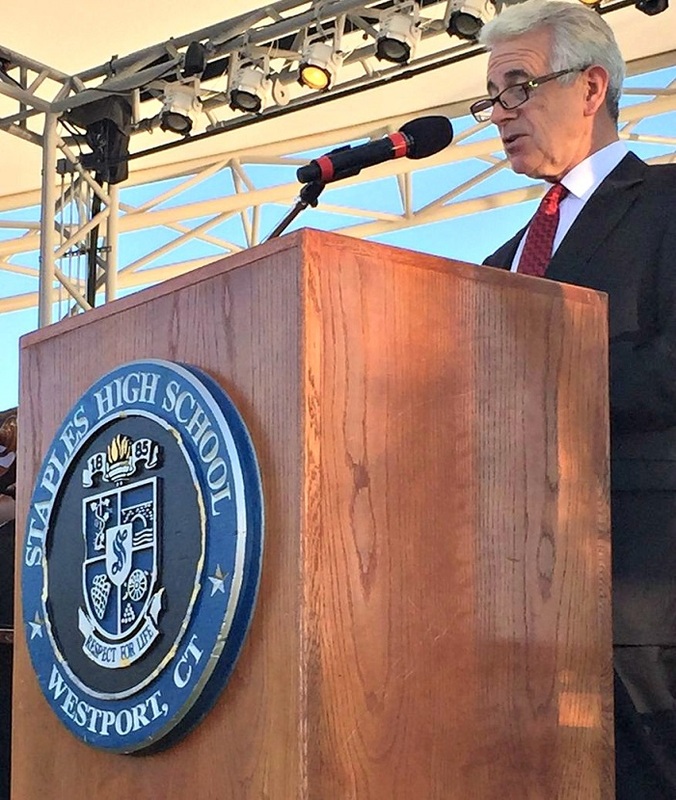 Friday night’s choral concert at Staples High School was typical. 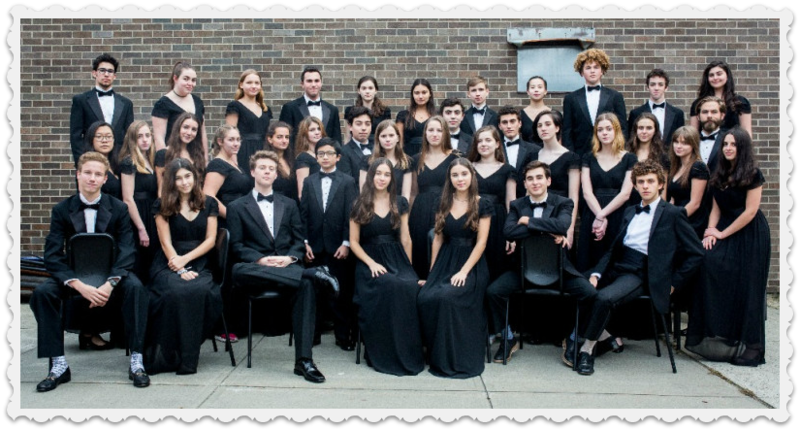 Scores of teenagers — representing 6 different ensembles, including Orphenians — sang a wide variety of difficult, inspiring and beautiful pieces. The theme was “Arise”; the songs carried the audience from early morning to late night. 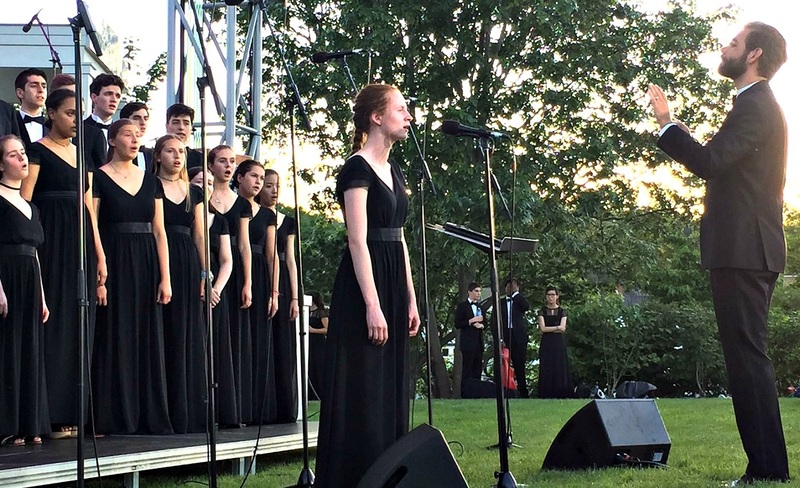 The entire concert — from concept to the selection of music — was designed by student officers. First though, Rosenberg took the mic. “I get to make music with young people every day. I fall in love with these kids. Then they get old, and go away. Rosenberg then described why he loves what he does — and why it is important. 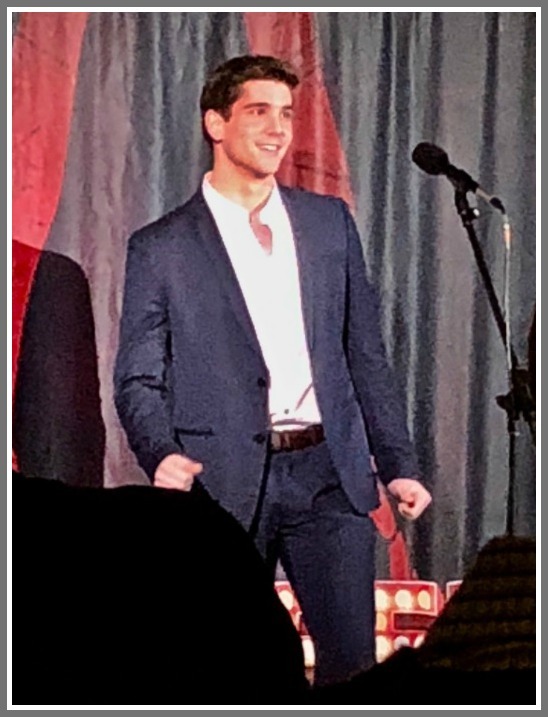 Then — proving his point — when Rosenberg was done, and the 29 seniors had taken their bows, the Orphenians took center stage one more time. They’d prepared it on their own — just for Luke Rosenberg. Click below to see Luke Rosenberg’s full speech. It was filmed by Tom Malin — father of graduating senior Madison Malin — and edited by her brother Brandon. Sure, you don’t have to go to Barnes & Noble for books or toys*. But Amazon can’t deliver live, in-person music like we got yesterday, from the Staples Orphenians. 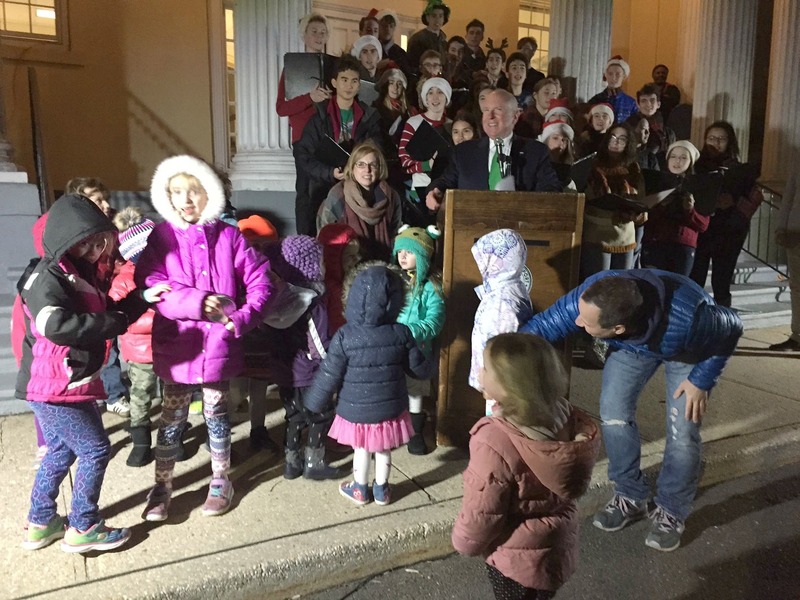 With the help of a gaggle of little kids, 1st Selectman Jim Marpe lit the town Christmas tree this evening, on the Town Hall lawn. But it doesn’t have to be. Another Westport holiday season has “officially” begun. 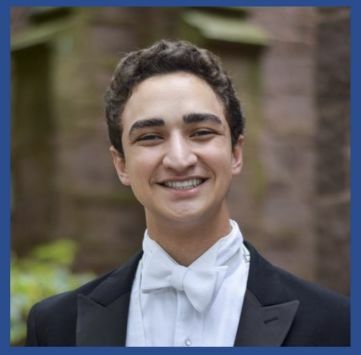 Luke Rosenberg leads the Staples Orphenians. Boys and girls help 1st Selectman Jim Marpe with the countdown. 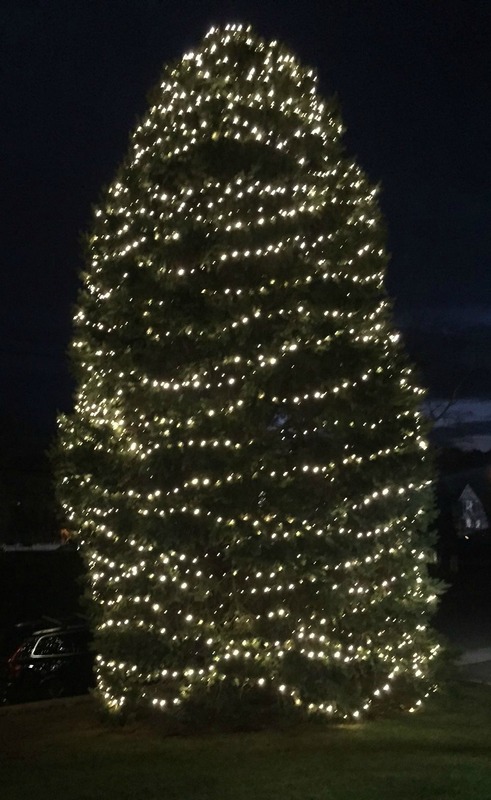 The tree is lit. It’s on the front lawn of Town Hall, on Myrtle Avenue. 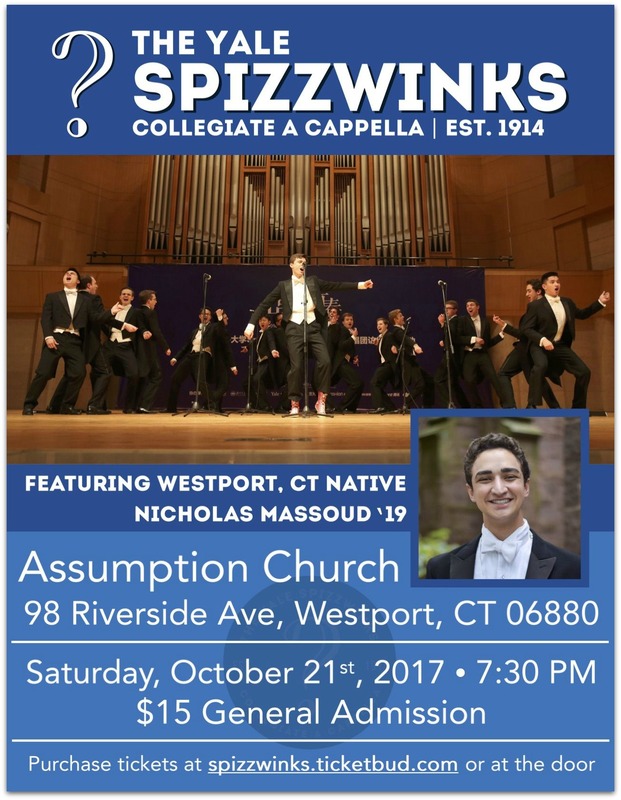 [UPDATE: WITH VIDEOS] O Say, Can The Orphenians Sing! It’s always an honor to sing the national anthem at a professional sports event. The honor was particularly meaningful tonight. 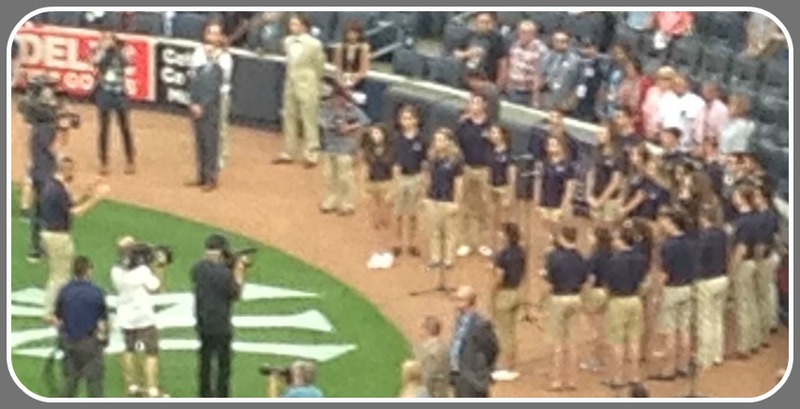 Staples’ Orphenians performed at Yankee Stadium — immediately following a Yankee Stadium-wide memorial service for the Orlando massacre victims. 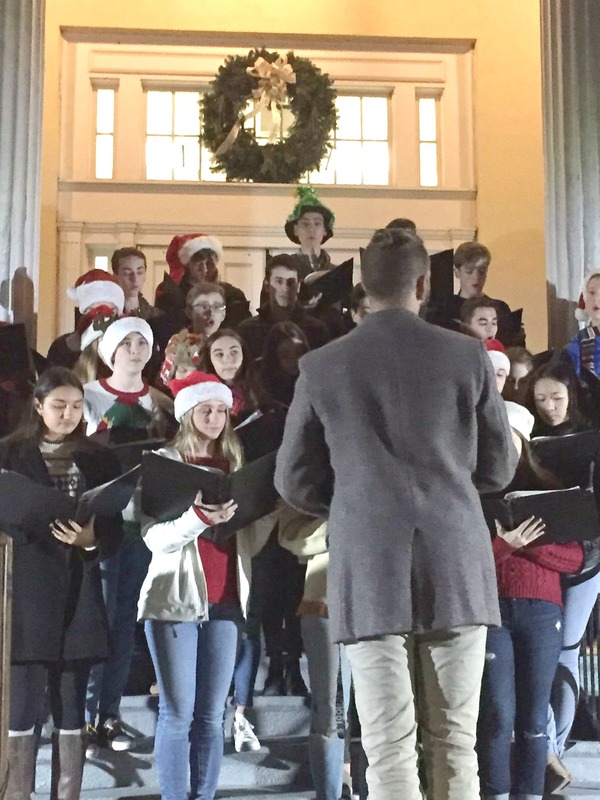 It was the 2nd year in a row for the elite a cappella group. 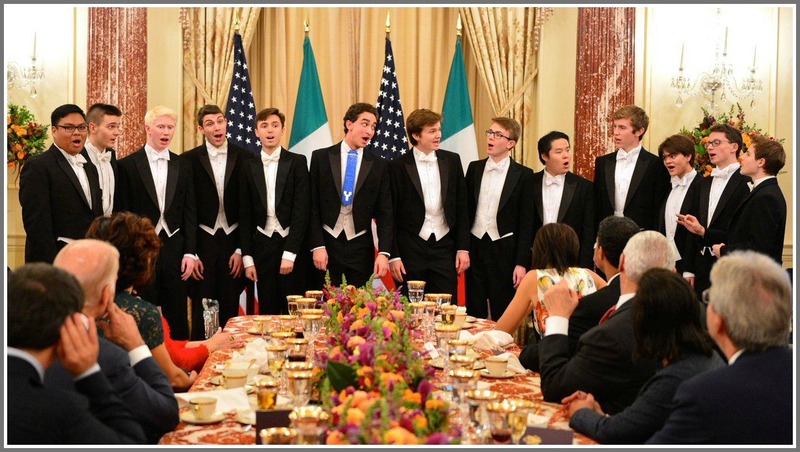 Several recent graduates sang. Their last gig ever as Orphenians was a night to remember. 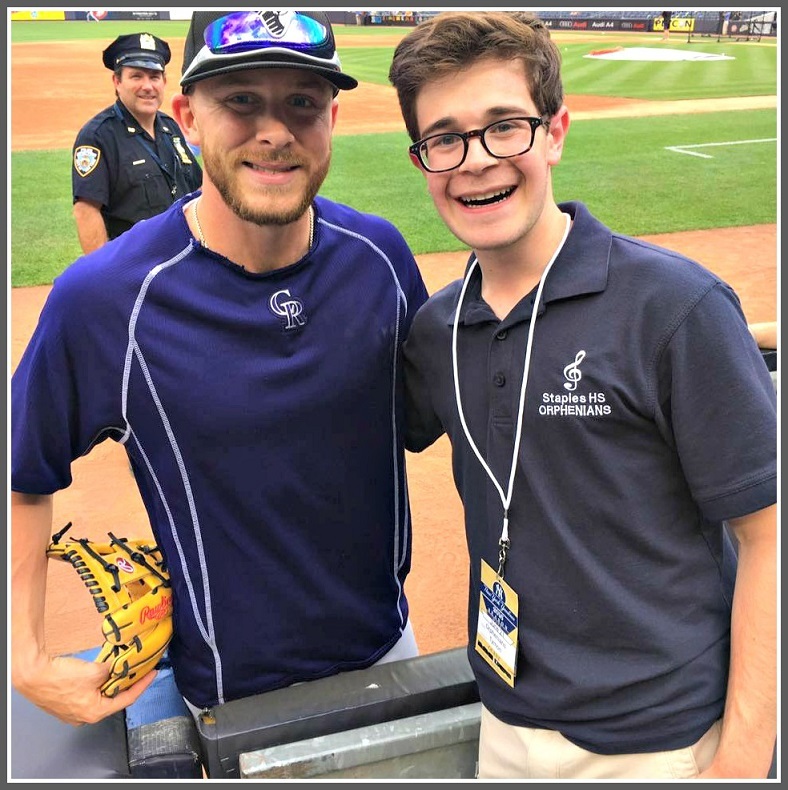 Recent graduate Aaron Samuels poses with his good buddy, the Colorado Rockies’ Trevor Story. O Say Can You See This Amazing Honor Court? Boy Scout Courts of Honor are special events. Achieving Eagle Scout — and sharing the day with fellow troop members, leaders, family and friends — is a moment any Scout will always remember. But last Sunday’s Court of Honor at Christ & Holy Trinity Church was extra special. To open the ceremony — at which Westport’s Troop 100 feted Aaron Samuels, Cole Moyer and John Foley — 3 Staples Orphenians sang the national anthem. Those weren’t just 3 random juniors plucked off the stage. All are connected with Troop 100. On the left is former Scout Keanan Pucci; on the right is Life Scout Wellington Baumann. And there in the middle is Aaron Samuels — singing before becoming an Eagle Scout, on a day no one there will ever forget.